Less flea and more festival, Kensal Flea sets up its smashing stalls on Saturday for a summer fair. The cool kids of Kensal will be rifling through vintage wear, snapping up retro bargains and handmade goods whilst toe tapping to the tunes of Peter Parker’s Rock n Roll Club. There's face painting for the kids plus streetfood and pub grub to keep you fed and an all round community spirit with far less mud than Glasto. Photos from the last event convey some of the groovy, laid back and fun spirit of the flea as well as a suggestion of the spread of ace wares on sale. And yes, Shaun Keaveney showed up. 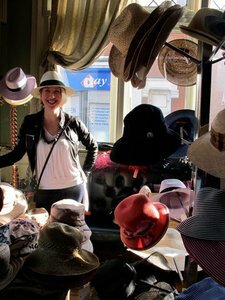 And while you're in the neighbourhood, why not check out the top 10 things to do in the Borough of Brent, as recommended by the Flea mistress herself. You're off to a good start as Paradise by Way of Kensal Green checks in as best pub.